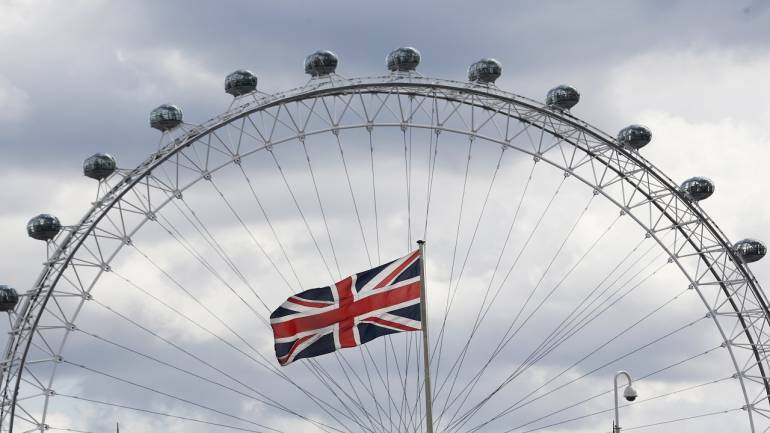 Britain’s economy will barely grow in the run-up to Brexit amid concern the UK will leave the European Union without an agreement, but if there is a deal there will be a modest post-divorce upturn, according to economists polled by Reuters. Economists mostly said a free-trade deal between the two will be made and expectations that Britain will leave on March 29 without an agreement have barely changed over the past month. Growth slumped to 0.2 percent last quarter as Brexit worries hammered investment by companies and a global economic slowdown weighed on trade. The February 8-12 Reuters poll said it would expand at the same rate this quarter. Polls conducted by Reuters since the June 2016 referendum decision to leave the EU have consistently said a no-deal Brexit would be the worst outcome for the British economy. The chance of a no-deal Brexit nudged up only to 25 percent in the latest poll from the 23 percent given in January and, with a deal expected, growth is forecast to accelerate to 0.3 percent next quarter and to 0.4 percent in the third. “If there’s a silver lining from the mounting signs that the uncertainty caused by Brexit is holding back GDP growth, it’s that the economy could enjoy a decent rebound if a Brexit deal is agreed,” said Paul Dales at Capital Economics. The likelihood of a recession in the coming year held firm at 25 percent and the probability of one in the next two years at 30 percent. “Although the economic headwinds have increased in recent quarters, the most likely way in which a recession will be triggered is if Brexit goes badly wrong,” said Peter Dixon at Commerzbank. Prime Minister Theresa May is trying to convince the bloc to amend a divorce deal that she agreed with it in November but that was rejected by her own parliament. As it stands, the UK will leave the EU in 44 days without a deal. May told British lawmakers from all parties on Tuesday she wanted them to back the Brexit deal she is aiming to strike, citing the need to pass further legislation to prepare for Britain’s exit. May said she believed she could reach a Brexit deal parliament could support. European Union Brexit negotiator Michel Barnier said on Monday the bloc would agree to tweak the political declaration on EU-UK ties after Brexit that forms part of the exit package. As in all Reuters polls since late-2016, the vast majority of economists said the two sides would settle eventually on a free-trade deal. Holding again in second place was Britain being a member of the European Economic Area, paying into the EU budget to maintain access to the EU’s single market. The third and fourth spots flipped, with Britain leaving without an agreement and trading under basic World Trade Organization rules now in third place and Brexit being cancelled last. Apart from January’s poll, Brexit being cancelled was in last place every time Reuters has asked. The Bank of England said last week Britain faces its weakest economic growth in a decade this year, but also said interest rates would eventually rise if an EU divorce deal is done. Other major central banks have signalled they will hold off on raising borrowing costs but BoE Governor Mark Carney stuck to his message that gradual and limited rate rises are coming if a no-deal Brexit is averted. Economists polled by Reuters took him at his word and medians suggest a 25 basis point increase to Bank Rate to 1.00 percent would come in the fourth quarter, later than thought last month. Another 25 basis point was predicted in the second half of next year, also later than previously thought. “The combination of Brexit uncertainty, slowing world – and UK – economic growth and lower forecasts for inflation suggests a far slower normalisation of policy,” said George Buckley at Nomura, who pushed back his expectation for the first hike to November from May. Carney said on February 12 a modest tightening of monetary policy over time would likely be sufficient to achieve the Bank’s 2 percent inflation target. The poll pegged inflation to average the target this year and next.